The first academic department of its kind in the world, the Department of Materials Science and Engineering in the McCormick School of Engineering and Applied Science at Northwestern University is consistently ranked one of the top programs in the field. Outstanding classroom and laboratory instruction, as well as the opportunity for undergraduate students to participate in leading research, are hallmarks of the department. The broad-based program encompasses a wide range of materials and enables students to understand the scientific principles governing the interrelation among processing, structure, properties, and materials performance. Students learn to integrate these principles in the systematic design of new materials from faculty members who are renowned for their pioneering work. 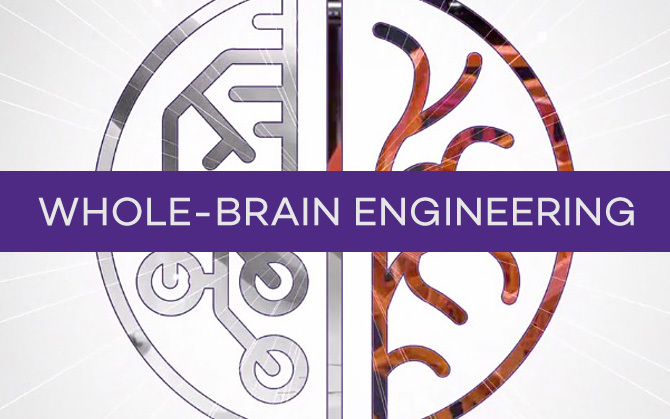 Strong interdisciplinary research is at the core of the materials science department at Northwestern. Studied materials include biomaterials, ceramics, composites, energy, magnetic materials, electronics, photonics, metals, nanomaterials, and polymers. Other areas include materials synthesis, processing, theory, computation, design, self-assembly, surface and interfaces, and art conservation. Master’s degree students may be interested in the certificate in integrated computational materials engineering.